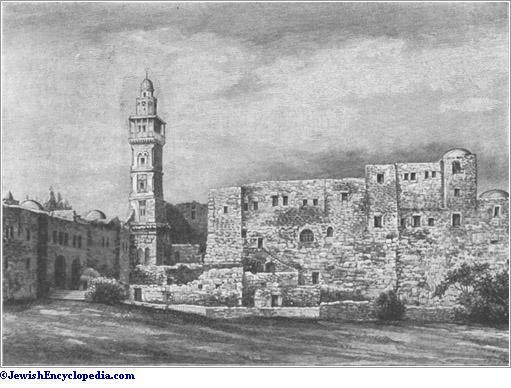 Ruins of the Antonia Fortress, Jerusalem. The younger daughter of the triumvir Mark Antony and sister-in-law of Tiberius. She was on friendly terms with Berenice (the daughter of Salome) and also with her son, afterward King Agrippa I. 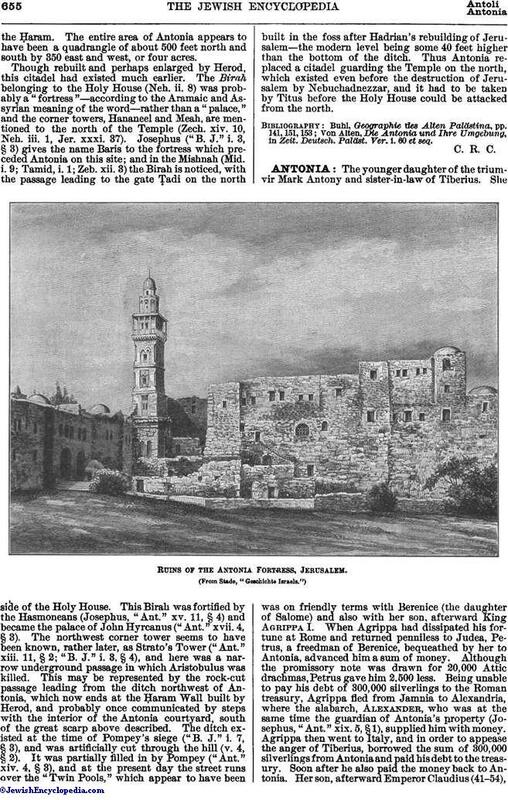 When Agrippa had dissipated his fortune at Rome and returned penniless to Judea, Petrus, a freedman of Berenice, bequeathed by her to Antonia, advanced him a sum of money. Although the promissory note was drawn for 20,000 Attic drachmas, Petrus gave him 2,500 less. Being unable to pay his debt of 300,000 silverlings to the Roman treasury, Agrippa fled from Jamnia to Alexandria, where the alabarch, Alexander, who was at the same time the guardian of Antonia's property (Josephus, "Ant." xix. 5, § 1), supplied him with money. Agrippa then went to Italy, and in order to appease the anger of Tiberius, borrowed the sum of 300,000 silverlings from Antonia and paid his debt to the treasury. Soon after he also paid the money back to Antonia. Her son, afterward Emperor Claudius (41-54),was educated together with Agrippa, and their mutual friendship proved to be a permanent one. 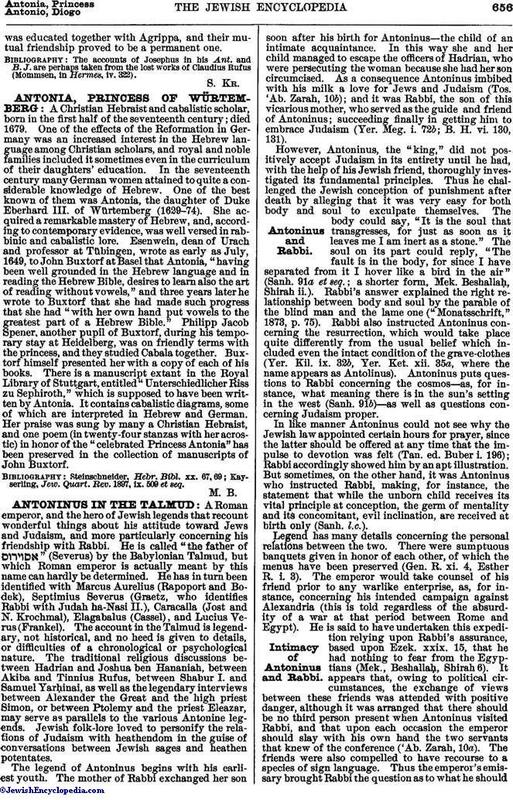 The accounts of Josephus in his Ant. and B. J. are perhaps taken from the lost works of Claudius Rufus (Mommsen, in Hermes, iv. 322).